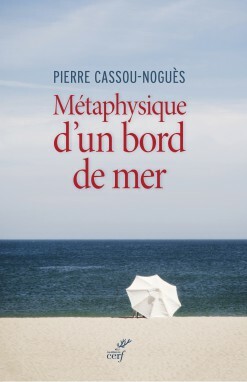 This paper discusses Q. Meillassoux’ arguments in Après la finitude in relation to fiction. My main example is the story that Lyotard tells at the beginning of his article “Une fable postmoderne”. This story produces “ancestral statements” but these appear in a story rather than in science, whereas Meillassoux only refers to “ancestral statements”, coming from, or apparently coming from science. To what extent can fiction make ancestral statements? What is the speculative value of ancestral statements in fiction? First, I argue that the importance that Meillassoux gives to science in his book comes from the fact that he considers all science to be reducible to one theory referring unequivocally to a single universe, which is doubtful with regards to contemporary science. Second, I argue that Meillassoux ‘s criticism of correlationism and his own attempt to get out of correlationism depend on what I call the “principle of the present” according to which only the present can be immediately given, or in Meillassoux’ words “the given is contemporaneous to the givenness”. That is, I can not have an immediate access to, have an intuition of, be given, the past nor the future, but only the present. This principle occurs in two keys arguments in Meillassoux’ book. Bergson’s theory of memory would seem to support the view that this principle of the present is false. Moreover, if one can consider fiction as a kind of givenness, a form of intuition as it were, then it clearly does not verify the principle of the present, since I can tell now a story about the past or the future. Thus I conclude that fiction considered as a form of intuition may produce ancestral statements while remaining in a correlationist background. In fact, if one refuses the principle of the present, the alternative between correlationism and speculation that Meillassoux puts in place falls: one can speculate, make ancestral statements, while still being a correlationist.